The energy market is changing. Although, when I say changing, what I really mean it is moving back to how it was in the beginning, in a manner of speaking. When electricity was first brought to the UK, the generators were placed close to loads to reduce transmission losses. We then moved to a more centralised grid, with a smaller number of large power stations, and energy shipped all over the country through a high voltage transmission network. With the more recent increase in renewable penetration, roof-top solar, small- and large-scale storage, all of which is distributed across the country, we are shifting back to the distributed generation paradigm. Power is not only flowing from the centralised generation facilities, but also from traditional consumers as well. This creates a large number of new problems to solve. This year’s Smart Energy Marketplace, organised by Regen, discussed this shift from centralised to distributed generation, with panellists and delegates from large industry, technology start-ups, consultancies, national and local government and academia. I was really interested in finding out how local generation was being utilised, what barriers were felt to exist restraining the move to a fully distributed grid and how policies, charging regimes and attitudes in industry were changing and developing. Consumer engagement issues, not willing to move suppliers or change behaviour to save money. These barriers were identified through a number of different case studies presented, such as the Sunshine Tariff pilot study in Wadebridge, Cornwall. Here consumers were incentivised by reduced energy prices to use power during the day. This local and regional balancing of supply and demand seems to be one of the key ways to reduce energy cost, and prevent the need to reinforce the grid further. Cornwall seemed to be a real hub for energy market innovation, which may be due to the grid constraint in the county, along with the massive renewable generation opportunities that have continue to be exploited. (The UK’s first wind farm at Delabole has recently celebrated its 25th birthday!) Cornwall County Council together with Regen are developing ideas to improve the local energy market, improving access to local energy, working with community energy groups, housing stock improvements and using the geothermal potential to supply heating needs. All this will support the population living in energy poverty, whilst still maintaining a low carbon future for the county and keeping money within the local economy. The Eden Project has also trialled a peer-to-peer trading platform called Piclo, developed by Open Utility, where it could choose where to buy its electricity from depending on price and availability. Energy Local presented two of their projects, SWELL and Bethesda, where they developed local energy clubs to buy power from local renewable energy suppliers at lower cost, with the consumers working on a time-of-use tariff to reduce bills. This enables the supplier to earn more from their generation, and consumers to keep their money in the local area. Other local energy groups, such as Plymouth Energy Community, looked at creating their own energy supply, by creating their own customer base and buying the aggregated power from an existing electricity supplier, known as white labelling. This is able to develop local tariffs for the community, and again keep profits in the local economy. During the day, many presenters and delegates were discussing local energy platforms, in relation to local balancing through micro-aggregation of supplies and loads, private or virtual private wire systems, peer-to-peer trading, and how to engage energy consumers with the benefits of these new technologies – a problem when it may only save them around £150 a year. A major barrier to these ideas were policy, with the current trading market unable to deal with this flexibility. However, through funding being delivered through the Department of Business, Energy and Industrial Strategy, this is beginning to be addressed. The event concluded with a presentation from a panel of investors and renewable operators, talking about the current market and business opportunities within it. As the UK government has cut back on the feed-in tariff and the renewables obligation, there were many concerns that future renewable installations would collapse. However, there was some cautious optimism from those involved with many thinking that large scale solar has nearly reached grid parity, especially where the grid connection is geographically near, with grid storage parity also possible in the next few years. There is huge opportunity in local supply and consumption to reduce costs and remove strain from the grid – a real win-win for all involved. Using tools such as peer-to-peer electricity trading and 30 minute electricity pricing tariffs can allow consumers to be fully empowered to control and reduce their spending, and decide when to use power. Policy needs to move forward quickly to catch up with the new market to allow these opportunities to really take off. Consumers must be engaged and empowered into this new energy future to ensure its success. Technology will be required to allow many choices to be carried out automatically, but some users will still want to be interacting with the process. The full conference presentations from the day can be found here, and those from the talks can be found here. Blog by Dr Sam Williamson, Faculty of Engineering. 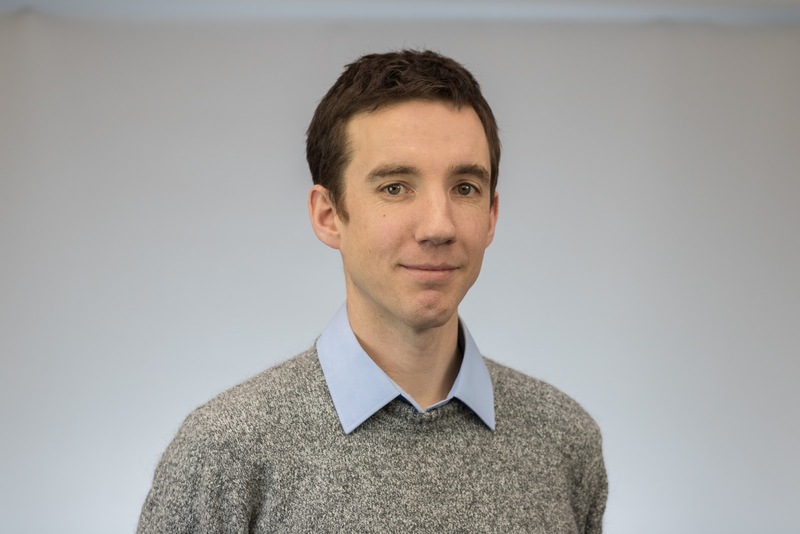 Sam is a Lecturer in Electrical Engineering, in the Electrical Energy Management Group, interested in how energy can be provided sustainably and appropriately, both to existing users and those without access.